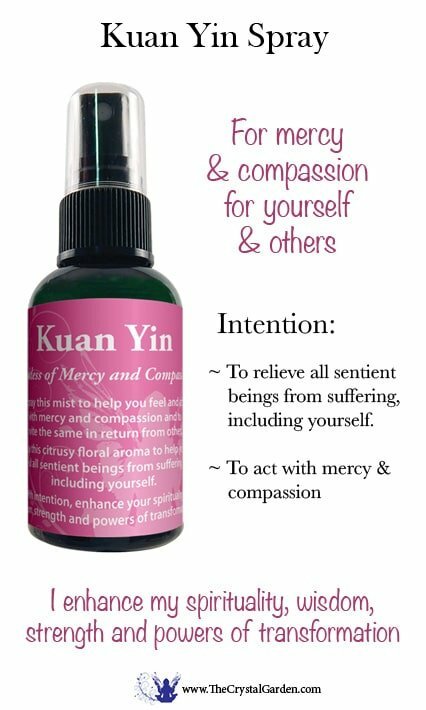 Spray this mist to help you feel and act with mercy and compassion and to invite the same in return from others. 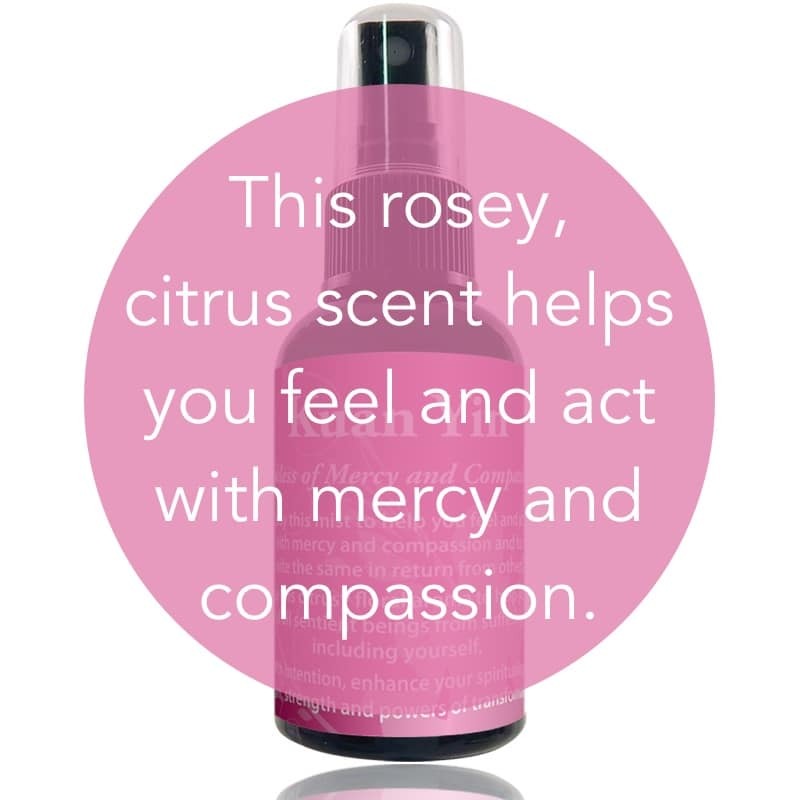 Use this citrusy floral aroma to help you aid all sentient beings from suffering, including yourself. With intention, enhance your spirituality, wisdom, strength, and powers of transformation. 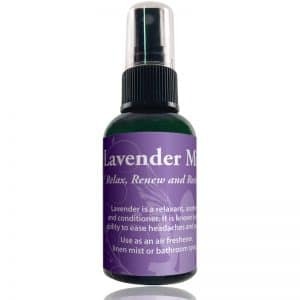 Ingredients: Water; Proprietary Blend of Medical Grade Essential Oils; Holy Waters from around the world; Sacred Site Essences from around the world; Bach Flower Essences; Gemstone Tinctures; Aura Soma; Organic Vanilla Extract. 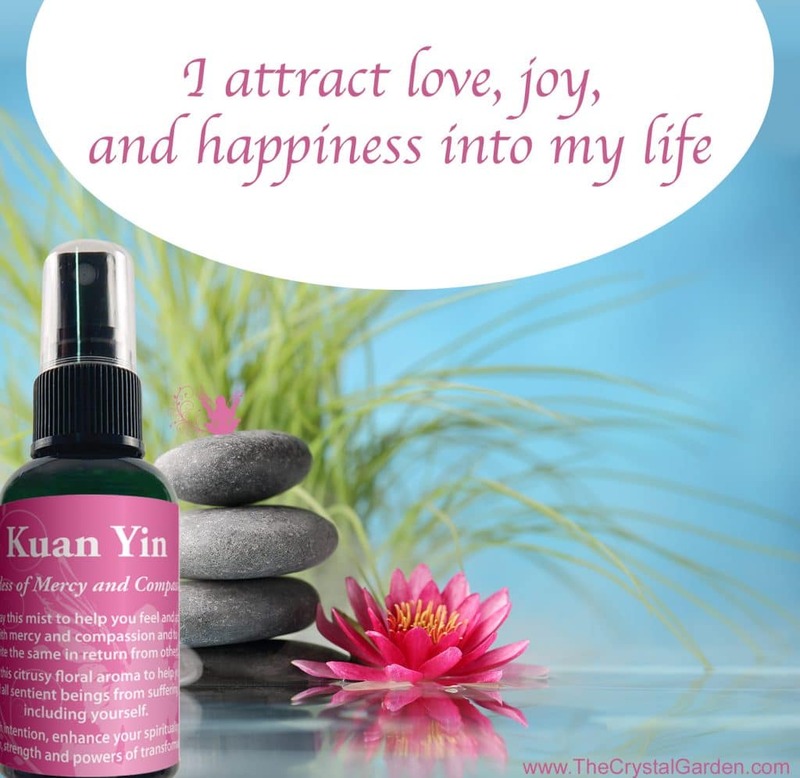 Use these positive thoughts when using Kuan Yin Spray: Affirmation: I am love. All that surrounds me and all that is attracted to me is love. I look within and love all aspects of myself exactly as I am. I attract love, joy, and happiness into my life, and I am comforted. Blessings are always present. I have an entourage of angels and spirit guides at my beck and call.